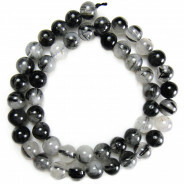 Smoky Quartz Gemstone Round 8mm (50pce Strand) - 40cm/16'" Strand. 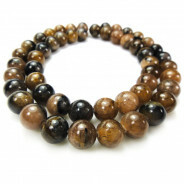 Smoky Quartz is a brown variety of quartz. Its colour is caused through natural or artificial irradiation of aluminium containing rock crystal. 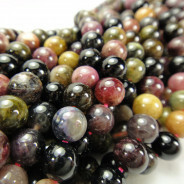 It is usually safe to assume that most of the Smoky Quartz beads currently on the market have been treated to obtain this colour. Believed to be a superb antidote to stress. 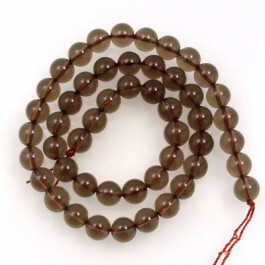 A protective stone which has strong links with the earth. 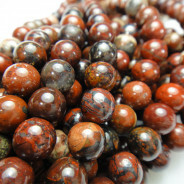 Said to be one of the most efficient grounding stones.